Earlier this term, the Pihanga literacy group were set on a task to see the similarities and differences between two books that we had recently read. The first book was based on how people explored the world through voyage on a canoe, with a person as navigator. The second book was based on a boy who sets out on a journey with the transport on ships that have easier navigation. In between the circles represent the similar activities to the two books. On the blue and red circles, it represents the differences. Polyfest ( short for Polynesian Festival ) is a cultural dance festival that was first established in 1976. This year in 2015, we celebrate the 40 years that Polyfest has been going on for. Polyfest is a festival, where high schools compete in. There a separate individual cultural stages at Polyfest, such as the Cook Island stage, Niuean, Samoan, Tongan and even a diversity stage. I bet that hardest thing to think of is which stage you could go to! Yesterday, the Point England year 7 & 8 students were very fortunate to attend the Polyfest education workshop, and do whole lot of fun activities! We even got to meet the prime minister, John Key and his camera crew! We were warmly welcomed by the Polyfest organisers. We met a lot of people, especially the people from Niu.Fm ( 103. 8 ) and Flava.Fm ( 95. 8 ). We were all doing different activities as a class, and our first one was learning about how to save power. Class 3 was kindly taught by a lady named Helen and she gave us advice on how we should save our parents power bills. Did you know that heat and air conditioning takes up most of the power? Remember, that it is important that you should always unplug electricity devices before heading out or to sleep. Luckily, we were gifted an hourglass that was given to remind us of how long we should shower or use the tap! My favorite activity was writing messages of why we love Polyfest! 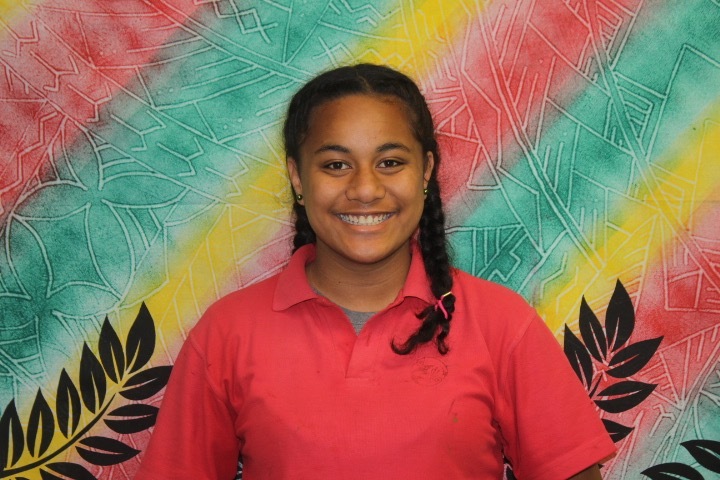 I wrote “ I love Polyfest because I get to see my family and friends perform on stage well “ We were also given another piece of paper which I wrote “ happy 40th birthday Polyfest! 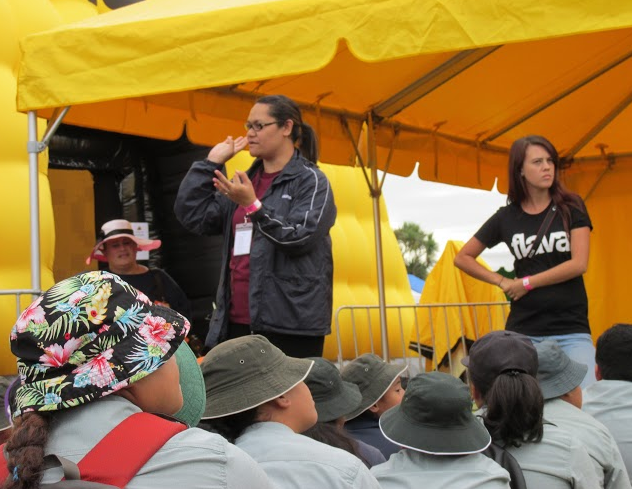 “ At the end of our sessions we had the chance to go and visit some stalls for some prizes and visit the Kapa Haka stage! Next year, I would very much love to perform at Polyfest next year for my college! On the 24th of March, the Hokule'a crew will take voyage to our Point England beach. 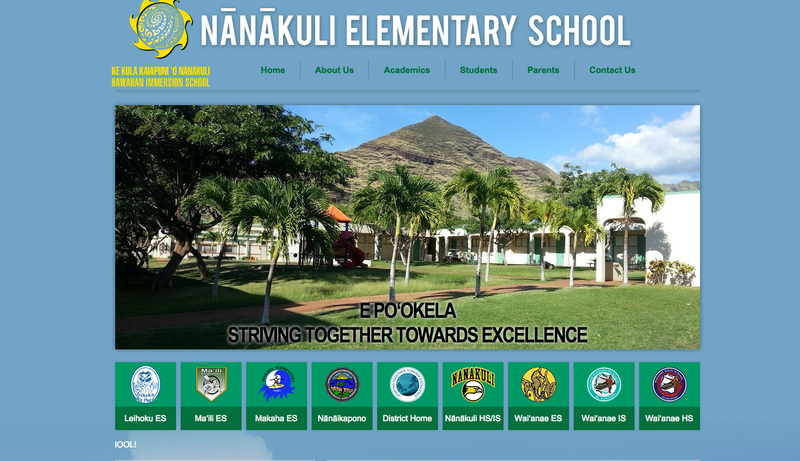 Our Manaiakalani cluster has been very prepared for this event, as this is very crucial for us. We have prepared our chants, waiatas and mihis to present to them. It is very interesting how they are using a traditional navigation to come to the Point England beach, which is a very amazing thing! There are many things that we are very grateful for in this world. One of them is technology. It helps us to connect with others around the world and develop new skills in our learning too. This morning, the year 7 & 8 extension crew were very fortunate to have a video conference with a school in Hawaii, Kea'au Elementary school and Nanakuli Elementary. We shared many things about our school to them. Such as, our technology learning and many things about the Glenn Innes Community. 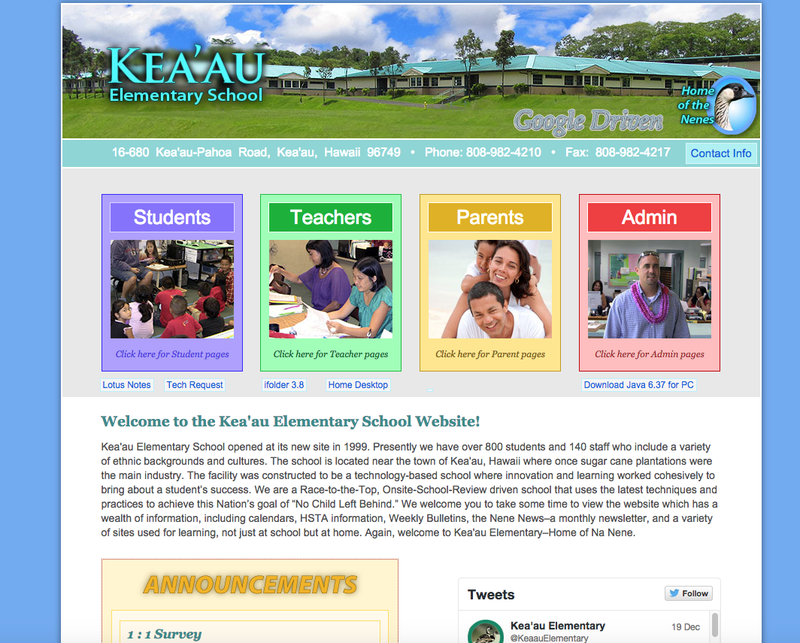 The extension group were very interested in how the Kea'au Elementary school develop their learning and many more. I was mostly interested in their school trips. They get to go on a trip to the Tsunami Museum which is dedicated to the people that died from the Tsunami that had hit most of the east cost on the big island back in 1946. It's weird how - just from a video conference, we learnt a lot from 2 different schools. It was really nice to see that they had set up a presentation and a movie to share with us about their schools and a little bit about their daily activities. One of my favourite things that I had learnt from that presentation and movie is that they are made up of many different cultures, like us. It was a very long experience talking to 3 different teachers from two different school at the same time. But it was worth the time talking and collaborating into their learning. I look very forward to connecting with them again. Every morning the teachers are given a task to present notices coming ahead for the week. But something was different this morning. While Miss Peato was giving out notices to the students, Mr Wiseman suddenly started to play his guitar like nothing ever happened. I sat there wondering why he was playing his guitar, especially in the middle of Miss Peato’s notices and I think Miss Peato thought the same. As Mr Wiseman was playing the guitar to some sort of song, he threw a really big grin at the green room door. Miss Peato couldn’t help but giggle at his surprising act. I noticed that there was something missing too. I looked around the room only to see a street with a few missing teachers. “ What is even happening? “ I thought. Mr Wiseman started to kick the green room door behind Miss Peato. Immediately, I heard a few shakers and instruments playing. Suddenly - out of nowhere- the teachers were singing happy birthday to Miss Peato. Finally! I knew what this whole thing was actually about! It was Miss Peato’s birthday. Still, there was question buzzing in my mind - how old is she? Nothing gave me a clue. Not even the candle on the cake. “ Happy birthday to you “ chanted the teachers as they wore colourful leis around their neck with smiles planted above their chin. “ Happy birthday Miss Peato “ the teachers continued while they placed a cake in front of Miss Peato. Miss Peato’s reaction was quite surprising. A blush grew on Miss Peato’s cheek during their time singing. The Year 7 & 8’s couldn’t help but sing along too. “ Happy long life to you! Happy long life to you “ the teachers said aloud again. “ Blow out the cakes! “ reminded Miss Tele’a as she clapped along with the song. I was truly amazed at how the teachers had set up the birthday surprise. At the end of every year, my family and I go on a trip to the temple lights in hamilton. The temple lights is an event held near church college and helps to celebrate the new year or the birth of Jesus Christ. On the 17th of December evening, our house was very busy. My mom was preparing snacks for our trip to hamilton, my dad was checking the car, and my siblings were obviously preparing their electronic devices. “ We leave in a few minutes “ explained my mom as she packed the sandwiches into the containers set on the kitchen table. While everyone was busy, I quickly prepared my dark tablet and white headphones for the ride. A trip to Hamilton is a very long ride, it will take a few hours and minutes to get through all the traffic chaos! I quickly checked the time on my moms wrist, 5:45. “ Hurry, lets go “ shouted my mom as we all scattered our stuff together and headed for the car. “ Is the house locked ? “ My dad asked my siblings. “ Yes, can we just go now? “ replied my sister as she was really eager to get there. During our ride to Hamilton, I couldn’t help but sleep through half of the ride. Listening to 15 songs repeatedly , bored me. As I woke up, we were already in Hamilton. My tablet suddenly died of low battery and all I could do was listen to my parents talking. Looking to the side, my brother slept with his jaw open, which really disgusted me. “ How long is this ride gonna take dad? “ I questioned frequently until he managed to reply. “ Just wait! gees. “ he growled back. I’ve been to Hamilton every year, and this is the first time we’ve managed to get through traffic slowly. I grabbed the packet of afghans , which was already finished. “ Take a sandwich “ suggested my mom as she handed me a container full of tuna sandwiches. “ Church college! There dad , the temple! “ I shouted as my dad, who was still annoyed, kept driving. As we got through the temple driveway, there were men in orange vests helping us to find a parking spot. I looked out the window and pondered which place I should visit first. Getting out of the car, I stretched my arms and legs, which were really sore! “ Hurry let’s go “ said my mom. The night started to get dark, and that was my favorite part. Lights were everywhere! I loved how they crafted sculptures of when Jesus was born and put a few lights around it. We also took a lot of photos of the temple and the wonderful bright trees. One of the greatest things about the temple, is that many people get married here. I had wished that they would have built stairs to see the whole sights of the Hamilton temple. While my brother and sister were taking selfies, my parents and I decided to visit the visitors centre which was in front of the temple. We were warmly welcomed by an elderly man wearing a white and black suit and a tie. “ Is anyone from Auckland ? “ he questioned as I raised my hand up as high as I can in the answer of yes. “ Which ward do you come from ? “ he asked. ( Ward means church ) “ Stonefields ward ! “ I replied immediately. “ Hello everyone , and welcome to the visitors centre” introduced the elderly man. I looked around the room, which looked very marvelous! It had red velvet carpet, chandeliers hanging and indian printed cushions. The elderly man than played a short film from a small t.v. The film was based on the birth of Jesus Christ! Than we were taken to the bible area, which has a collection of bibles on the side made up of different languages. And touch screens - that give advice - on the other. So far, my time at the temple was really amazing! I recommend going there some day!